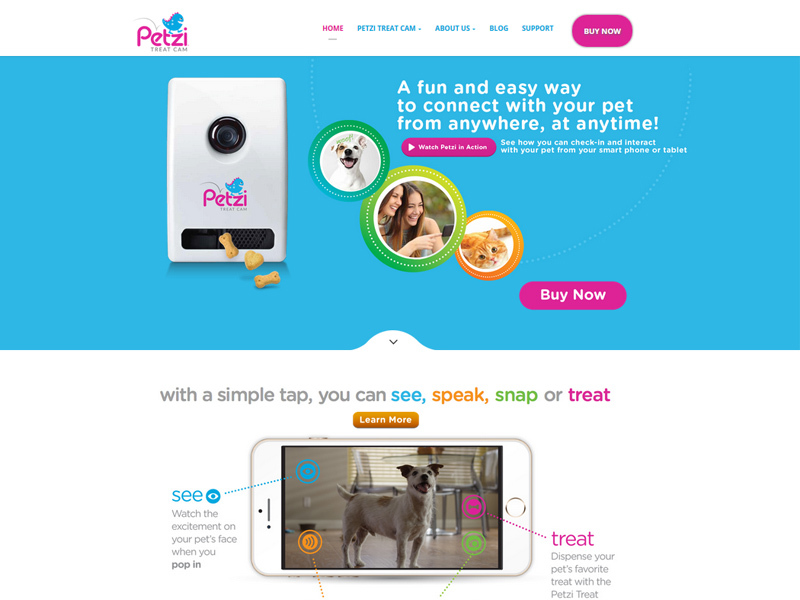 Petzi is a technology startup based out of Silicon Valley with a very cool and innovative product called “The Petzi Treat Cam”. Petzi allows pet owners to communicate and stay in touch with their pets while they are away using the Petzi Treat Cam. Even further it allows for them to dispense treats to their pets through their mobile device. Petzi approached Rizer in a unique emergency situation. They were close to launch and were not happy with their existing website, and were abandoned by their existing development partner. They reached out to Rizer and asked if Rizer’s team could develop their site from scratch in only 5 days, so they can meet their launch deadline. Rizer’s team worked around the clock to meet Petzi’s launch requirement and was successfully able to do so in only 5 days.